Tallahassee Florida was first settled by Mississippian Indians, who were displaced in later years by the Apalachee tribe and then the Seminoles. The Spanish explorer Hernando de Soto and his troops occupied the area that is now Tallahassee in the winter of 1538. They established Mission San Luis de Apalachee to help provide labor and food for their colony of St. Augustine to the east. The Mission was also strategically located about halfway between the Spanish settlements of Pensacola and St. Augustine. After bouncing around under the Spanish, British and American flags, Florida finally became a Florida territory in 1821. Tallahassee was chosen as the territorial capital. The Marquis de Lafayette, who was a hero of our Revolutionary War, made a tour of the United States in 1824. During the tour he was given 36 square miles of land by the U. S. Congress a thank you gift. The acreage included much of what is now Tallahassee. 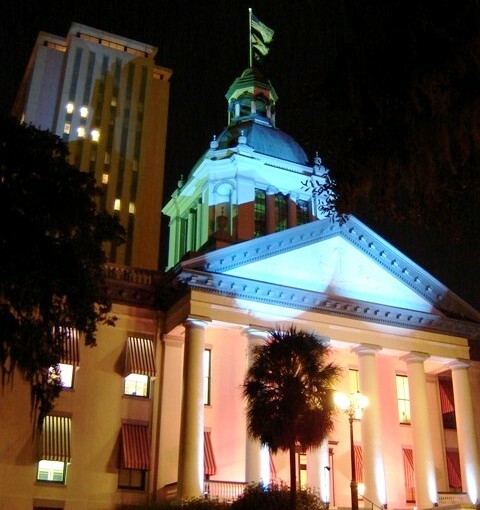 Tallahassee remained the capital when Florida gained statehood in 1845. The Greek revival "Old Capitol" building was constructed just in time for the statehood ceremonies. The Old Capitol building still stands in front of the modern (1977) 23 story capitol building where most of the work of the Governor and Legislature actually gets done. Before the U.S. Civil War, Tallahassee was a slave, cotton and tobacco trading center. The city was in the center of a large plantation economy. It was a thriving town, and several academic institutions were founded that became the beginnings of Florida State University and Florida A&M University. At the end of the Civil War, Tallahassee had the distinction of being the only Confederate capital east of the Mississippi River that had not been captured by the Union Army. Only one battle was fought near Tallahassee during the Civil War. The Battle of Natural Bridge took place a few miles south of the city in 1865. After the Civil War, the end of slavery devastated the cotton and tobacco trade that Tallahasse had relied so heavily on. Economic activity began to move away from Tallahassee to more southern regions of the state. Citrus, cattle and tourism became the new industries and left Tallahassee behind. The plantations fell into disrepair and economic misery. Many of them were bought by rich Yankees to use as winter hunting reserves. 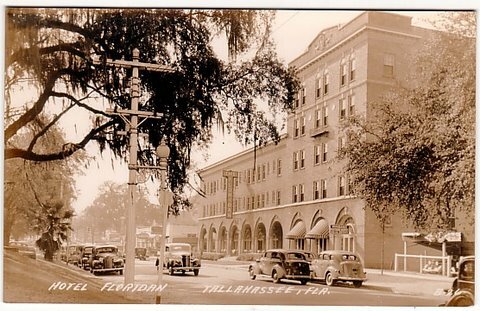 For 80 years after the Civil War, up until the end of World War Two, Tallahassee was a sleepy southern town that just happened to be the State capital. Most people in town worked for State government or the universities. In the 1960's there were several attempts by politicians in central and south Florida to move the capital to Orlando. It would have provided a more central location, but the movement was defeated and the State built the tall new Capital building in 1977. It was a signal that Tallahassee was here to stay as the State capital. Another signal was that the State converted the Old Capitol building into a museum rather than tearing it down. You can still visit it today. Today it is a vibrant city of 180,000 people in Leon County, whose population is 275,000. The rolling hills and canopied roads of Tallahassee and Leon County remind many people of more northern regions. It is after all way up in North Florida. 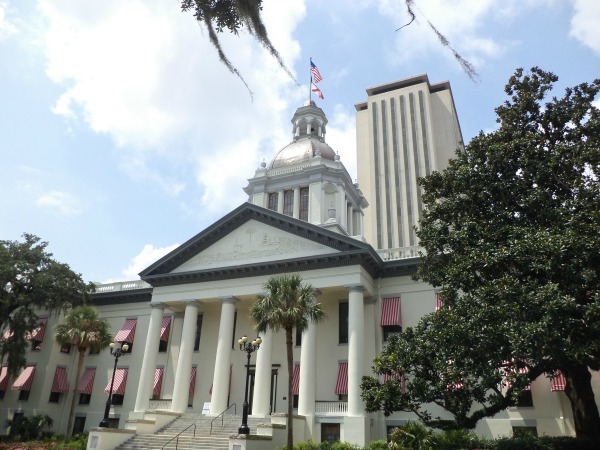 The economy of Tallahassee is still very much dependent on the payrolls of Florida State University, Florida A&M University, the State of Florida and all of the law firms and lobbyists who practice their trade in the capital city. Leon County predictably votes Democrat in most elections because of the heavy registration of State employees.